Japan Automobile Manufacturers Association, Inc. (JAMA, Chairman: Toshiyuki Shiga) unveiled the theme and poster design for the 42nd Tokyo Motor Show. The Show will be held at Tokyo Big Site from Sunday December 2nd until Sunday the 11th (Open to the public from Saturday December 3rd). 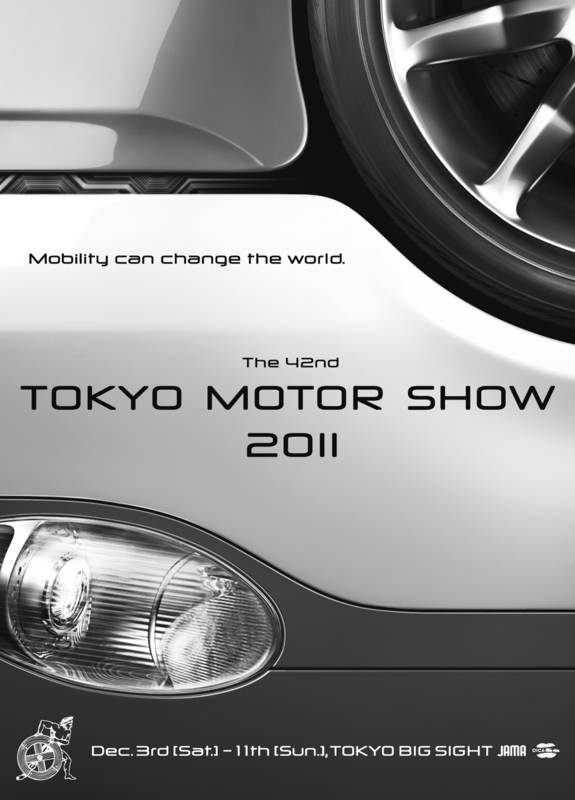 Making a spectacular return to Tokyo after 24-years, the Tokyo Motor Show seeks to be the world's leading technology motor show. "Mobility can change the world." is its theme. Automobiles are more than just transportation; they now offer solutions to issues such as our environment, safety, and energy. The new theme delivers a bright message for the future of the automobile industry. The poster design depicts a mixture of tires, lights, and car body, expressing the changes in vehicles through their evolution. It offers the promise of a motor show for everyone to enjoy and the characteristic lure and anticipation of the unknown offered from cutting-edge technologies. 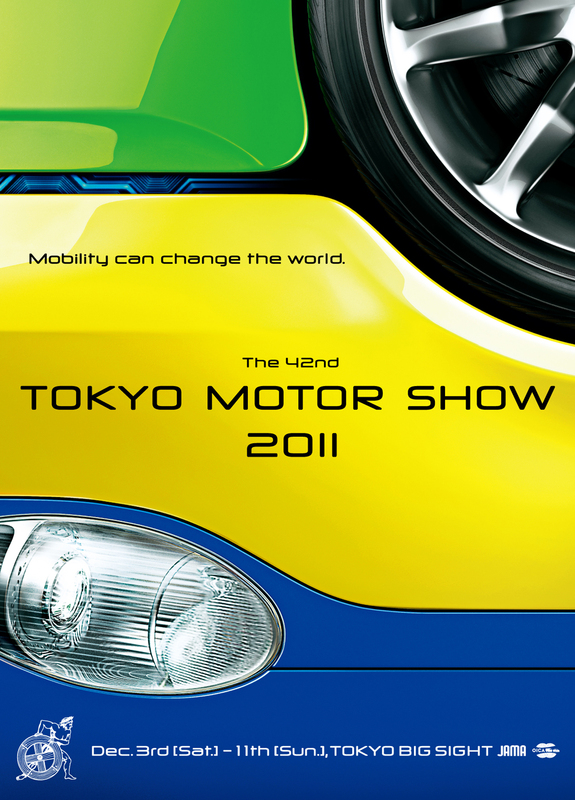 The logo on the poster has been used since 1954, when Tokyo hosted the first Tokyo Motor Show. The show's return to its original city represents a return to fundamentals—a desire to appeal to the world through excellent Japanese automobiles and the technology that moves them.